Review: Eragon A computer game action / adventure genre based on the book and movie of the same name. It was released Vivendi Universal Games November 17 2006. 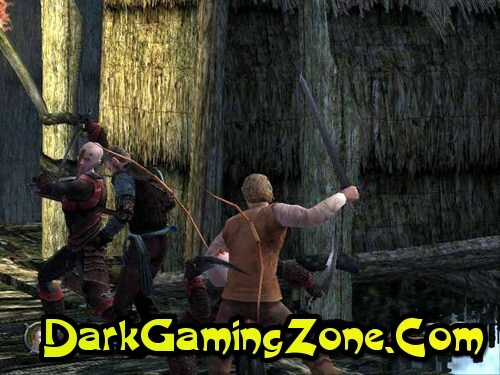 The game developed by Stormfront Studios can be played on the Xbox 360 PlayStation 2 Xbox and PC. In addition there are unique version for Game Boy Advance Nintendo DS and PlayStation Portable developed by Amaze Entertainment. 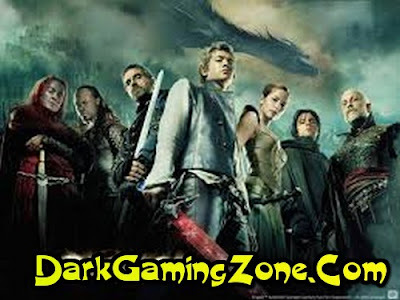 April 18 2006 Vivendi Universal Games announced today that they have to publish the video game Eragon in the film the product was released in December of the same year. He was supposed to appear in most major gaming platforms (PlayStation 2 Xbox Xbox 360 Game Boy Advance DS PSP and PC). Console versions had to be designed Stormfront Studios who previously worked on the adaptation of the game Lord of the Rings. 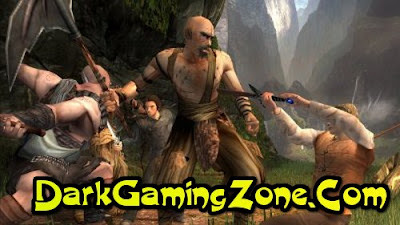 Two towers Amaze Entertainment who previously worked on the game Pirates of the Caribbean Sea and Over the Hedge developed the portable version. for the GameCube version was planned but it was later canceled. On the same day Vivendi announced that the first possible chance to see the game will be at the exhibition «Electronic Entertainment» in May 2006. May 11 2006 website Yahoo confirmed that the game has been in development since the beginning of pre-production of the film. The game was previously presented at the Comic-Con 2006 where the audience was able to play only one level of "bridge Daret». Enemies consist entirely of Urgals and the player had to overcome several obstacles with the help of magic and Saphira. At Comic-Con Christopher Paolini played and at other levels such as the «Spine Mountains». The game was also shown at the 2006 Games Convention in Leipzig Germany. Actress Sienna Guillory who plays the elf princess Arya in the film personally acted on the stand of Vivendi to promote the game. In October 2006 it was announced that the actors from the movie Eragon will work on the voice acting in the game adaptation. In particular Edward Speleers (playing the main character) Sienna Guillory (Arya) Garrett Hedlund (Murtagh) and Robert Carlyle (Durza or Darza) should give their votes. 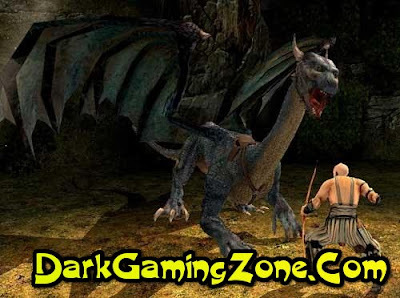 The main musical theme for the game Eragon was released Shur'tugal.com site November 2 2006. Record Emma Townshend and her song «We can Fly Away» was also used. Cantilever types of games in addition to the Xbox 360 are similar to each other focusing on the same technique. The PC version is similar to the current generation of consoles. However the Xbox 360 edition includes a two exclusive type of movement one on foot and the other on the back Sapphira. Also a new type of enemy has been introduced familiar to those who read the book Kull. Portable games are not similar to each other. The game for the Game Boy will focus on the role-playing mechanics PSP games prefer multiplayer levels and the air of a dragon. DS version uses the touch screen in the battle system and also allows the user to stop time to create spells. There are seven types of magical attacks in the DS version.